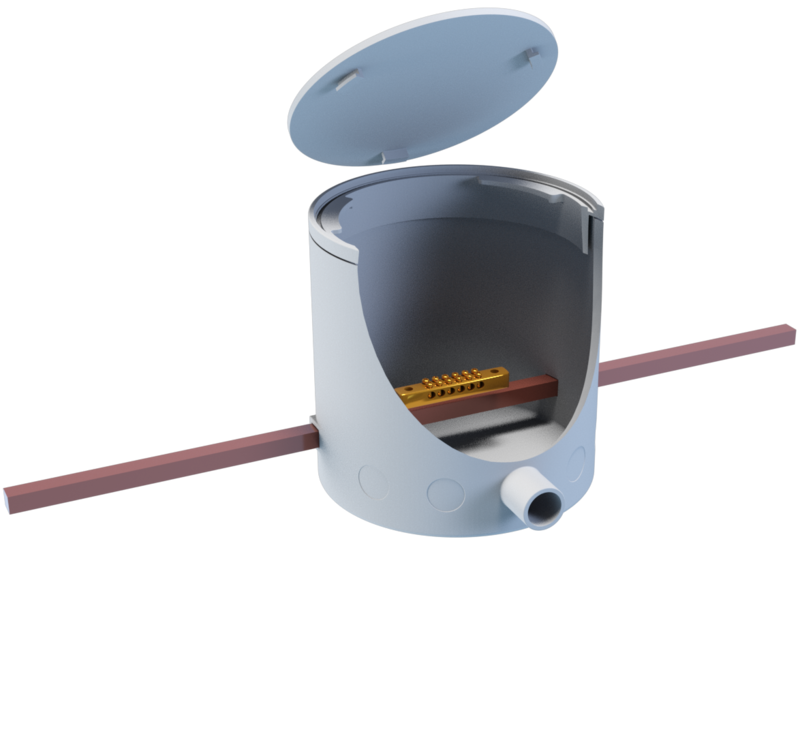 The Conductor Hub Standard Kit is comprised of a base, unique collar lid and o-ring that can be adjusted to suit any concrete thickness, one metre copper bar to ensure connection in four locations, additional conduit connectors, stainless steel zip ties, numbered busbar and screws, compliance card and location sticker for meter box. It is an all in one solution for contractors to meet the requirements of AS/NZS3000:2018 (Wiring Rules) and is a visible bonding connection point that allows inspection post concrete and further additions to be added to the equipotential bond down the track. In Australia and New Zealand, in a swimming pool or spa area, any fixed metal item within 1.25m of the water’s edge must form part of an equipotential bond. These would include items like, the reinforcing steel of the pool shell or bond beam, steel in surrounding slab, metal pool fences or spigots, metal downpipes, windows, doors, pools ladders, pool blanket frames etc. It is important for contractors to know their legislative requirements when working in these zones to ensure they are complying with the regulated safety requirements. To obtain a copy of the extract from AS/NZS3000:2018 for equipotential bonding, visit our website and download your copy.